Having concluded her tutelage with her very own Svengali, Josef von Sternberg, Marlene Dietrich would find herself starring opposite a very Mr. Deeds like Gary Cooper for this hybrid screwball comedy/heist/ romance film rolled into one with Frank Borzage doing the directorial duties. It’s as if she had moved from films intended as works of art to those made as pure entertainment. With Coop along, that’s exactly what Desire serves up best, entertainment. 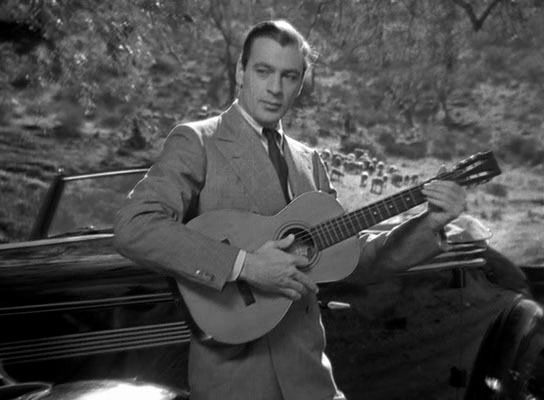 Capitalizing on that slow drawl, Gary Cooper stars here as a man about Paris. He’s an engineer in the auto industry who wants a little vacation time on the continent. Boss William Frawley gives in and Coop is off to Spain. Still in Paris, he’ll accidently bump into another car and though he won’t see the passenger in the rear seat, it’s a sign of things to come when it’s decided no damage has been done and he continues on. Introducing Marlene to the story, we’ll find that she’s one high class looking con artist with gowns and furs befitting a star of her stature in the Hollywood of 1936 to match. She’s after a string of pearls and wonderfully makes off with “the tears of mermaids” by setting herself up as the wife to both the seller, Ernest Cossart and the supposed buyer, a wealthy psychiatrist played by Alan Mowbray. 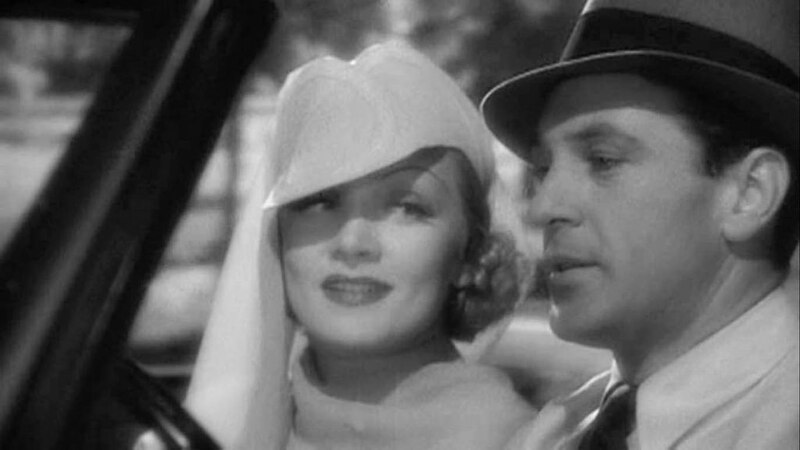 Neither mark suspects the beautiful Marlene of any wrong doing and in an amusing bit when the pair of fools meet, Dietrich is off on a whirlwind road trip to Spain. It’s while travelling through the countryside that the two icons of cinema will cross paths in comical fashion and when they both arrive at a customs check point, Dietrich isn’t taking any chances with the pearl necklace and slips them into the country hick’s suit jacket. Now all she’ll have to do is get them back setting the zany plot spiraling towards romance. The simple act of reaching into Coop’s suit jacket for the pearls turns into the near impossible as Marlene is soon to discover through one mishap after another. Just when she thinks she’s outfoxed him, she’ll find she’s got nothing to show for the heist and a partner in crime who doesn’t take failure with ease. Marlene will continue the ruse in Spain acting as a well to do Countess with her partner in crime, John Halliday as her Uncle. Playing up the royalty angle wisely allows the filmmakers to deck out Marlene in one gorgeous gown after the other. Form fitting white dresses to a black feathery look and back to a white fur. Still, she and Halliday need to find the American to retrieve their prize. “He seemed to a be a man of very good taste.” Marlene explains to Halliday in reference to Coop. “He liked me.” Pure Marlene! 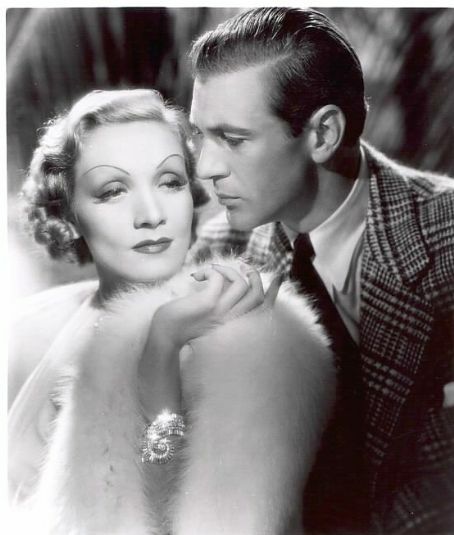 They won’t have to look hard as Coop has a score to settle with Dietrich but of course that’s of little consequence once he corners her for his pound of flesh. One look at those Dietrich eyes and he’s hooked. She’ll play him like a violin and treat us to a husky voiced song at the piano but maybe that backwoods Cooper charm might be melting the cold heart of our monetary guided Goddess. While Cooper might be playing the country boy character that he was so good at (also known as Mr. Deeds), he gets to mix gallantry into this role and a sense of that Cooper “don’t cross me” persona (“If you want to call me that, smile! “) comes through when he realizes the hold that Halliday has over the woman he’s come to love. 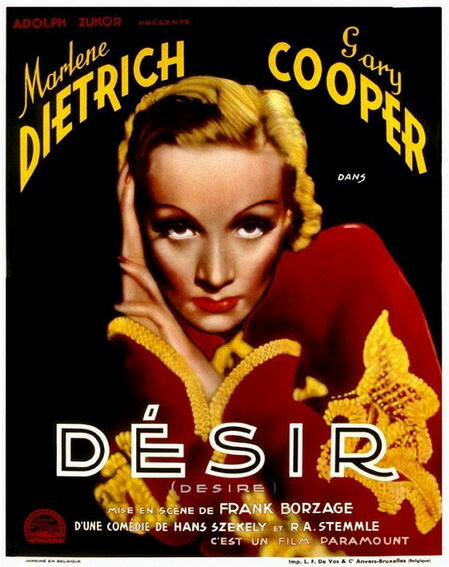 This was the second of two films that Cooper and Dietrich would star in together. The first coming in the 1930 release, Morocco. Sadly they never appeared in another film together again and it’s rather ironic that 1961 proved to be the final year for both on screen other than a late seventies appearance by Marlene in a singular film. Dietrich essentially retired after going out in style with Judgement at Nuremberg while Cooper lost his battle with cancer making the 1961 release The Naked Edge his swan song. Aside from the wonderful William Frawley, Akim Tamiroff also turns up as a Spanish Detective on the trail of the pearls who finds himself easily taken in by Marlene’s supposed Countess and moves on to look elsewhere for his thieves. Akim appeared opposite Coop a number of times including two separate Oscar nominated supporting roles for The General Died at Dawn and For Who the Bell Tolls. 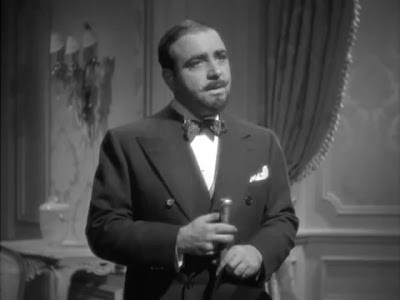 He’d also appear in the classic Touch of Evil sharing the screen with Dietrich later on in their careers. 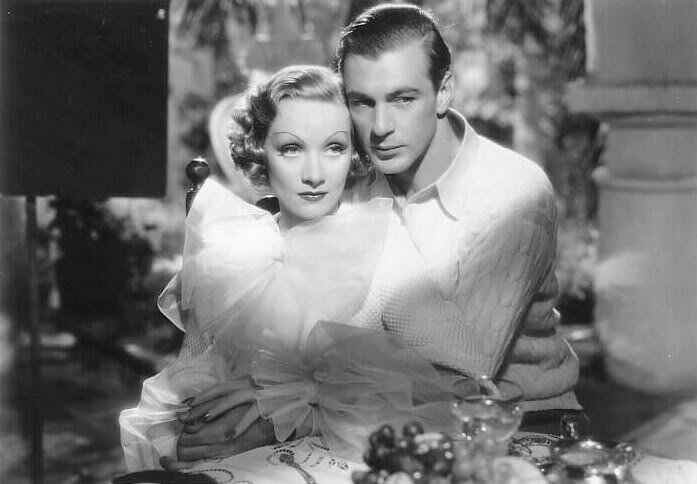 Desire is well worth seeking out for fans of both Marlene and Gary and it can also serve as a nice introduction for convincing a non believer that films of the 1930’s are just or even more enjoyable than plenty of the titles thrown at us in today’s market place. Give it a go for the first time or sit back for a rewatch and enjoy Coop and Marlene take to the open Spanish countryside. Another grand sophisticated comedy featuring jewel thieves, is: ‘I Was An Adventuress’ (1940). Can’t get away from “the code”. Heaven forbid. I’ll look for that other title. Not being a classic car buff, would you happen to know what Dietrich was driving? Look pretty classy. I could throw out a Rolls but really have no idea. Chemistry a perfect word. I’ve never seen Desire. It sounds well worth a viewing though Coop and Marlene seem an odd combination . I just watched Desire and found it enjoyable. My dad happened to sit down and watch the last twenty minutes and became engrossed despite having missed most of the film. When it was over he said how much he liked it. It’s one of those fun screwball movies of the era and hard to resist as you and Dad just discovered. Thanks for dropping me a line and do comeback.